Magical CASTLE with a Drawbridge that opens and closes. Marked KIRKS FOLLY. A Fairy flies above, a Turtle and Frog are by the moat, and a Dragonfly dangles below. 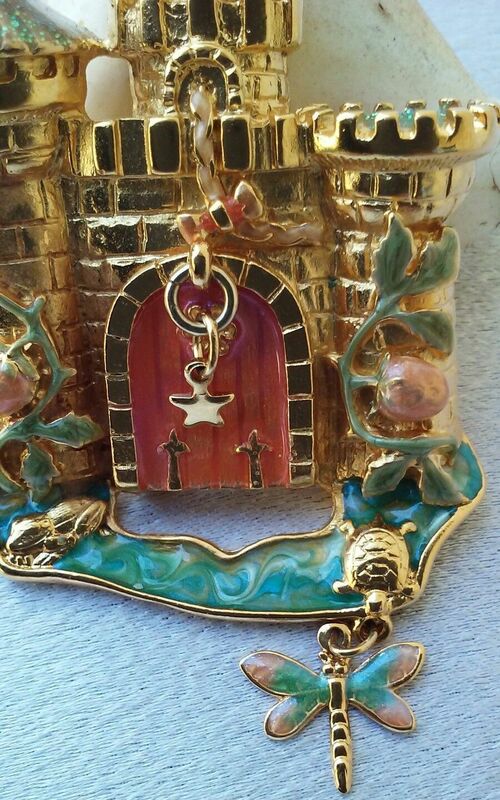 Beautifully hand enameled and sprinkled with Fairy glitter dust to add to the magic. Measures 3.25 inches tall and 2 inches wide. 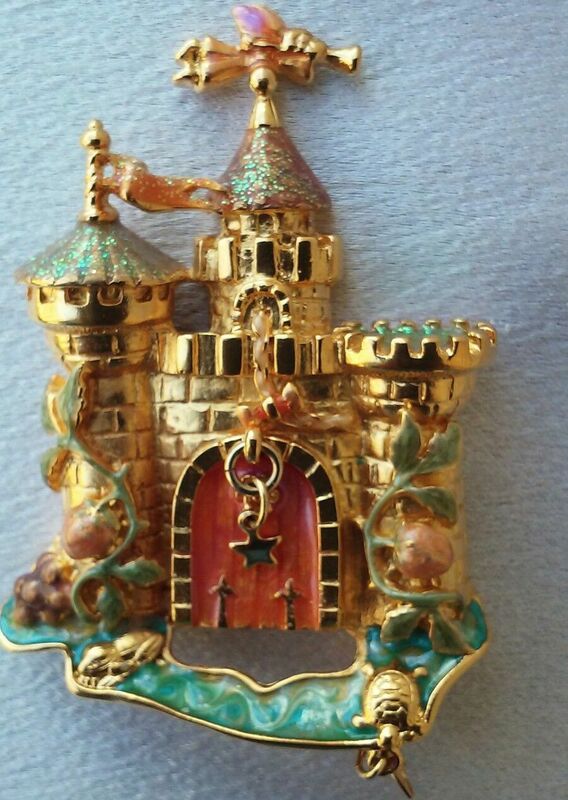 FANTASTIC PIN!!! ..... Also enjoy FREE SHIPPING with delivery confirmation (tracking number). ..... Please contact seller before ordering from Canada. ...... Thank you for shopping at quadrina!! !